The Fire and Disaster Management Services in consultation with the Newcastle Disaster Management Advisory Forum held a Mock Exercise on Motor Vehicle Accident at Asiphephe Drive on Thursday, 23 November 2017. With the Festive Season around the corner, the aim of the mock drill was to sensitise the Community of Newcastle of possible accidents that may happen during the festive season and measures they should take. It was also to see if all the different stakeholders that are within the Newcastle Disaster Forum are ready for the Festive season and that they can work together collectively without any problems. 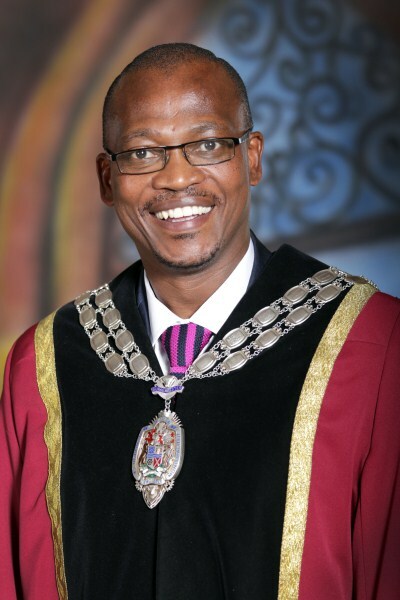 “We can see the direction that this forum is taking and we are very much satisfied with what we have achieved thus far, we are now working towards sustaining this achievement” said Acting Chief of Fire who is also the Chairperson of the Disaster Forum Advisory, Mr Nelson Mpeko. 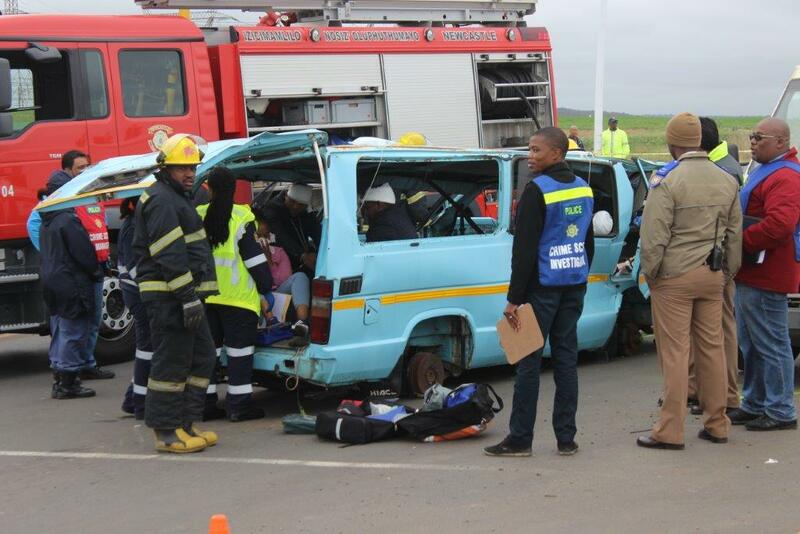 As part of the mock the Advisory was given a scenario for them to tackle out , the scene was of a taxi that was travelling from Madadeni to Town carrying 19 passengers with an allegedly drunk driver that collided head on side with a taxi that was carrying 8 passengers while trying to avoid a stray cow.